July 4, 2017. PEN PALS may be finished chapter-wise, but there’s nothing stopping me from writing an infinite number of afterwords. What with the ‘book’ ‘only’ existing online, I soon realised I wanted its existence acknowledged in print. So I decided to pitch an idea for a PEN PALS piece to the New Statesman. After all, Jason Cowley, its current editor, had written that long piece about Charles for the Observer in 2008, in which he'd stated that he was a friend. Surely he’d be interested to know the latest news about our Charlie boy. That is if I made the whole context seem political enough. 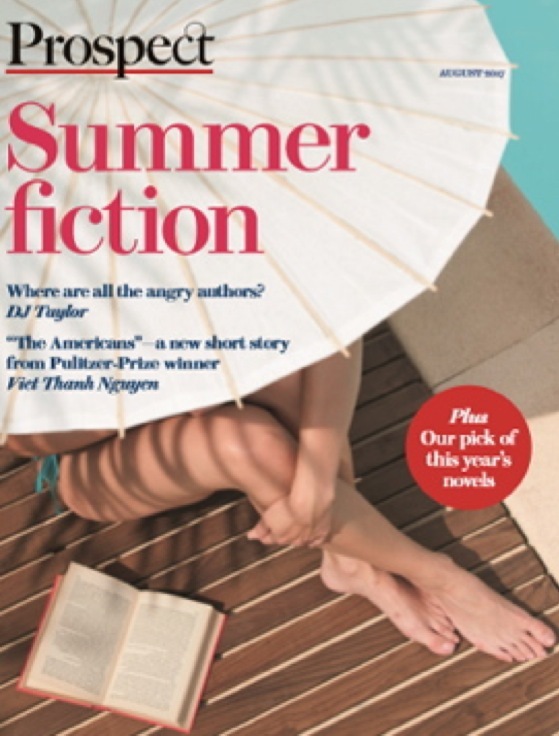 In 1987, 32 writers had short stories appear in a nationally advertised anthology, PEN New Fiction 2. Where are they 30 years later? What do their fates tell us about cultural decision-making in recent decades and about the importance of the writing life regardless of worldly success? One contributor, Duncan McLaren, investigates on behalf of all. • C.A.R. Hills, spent five years in prison as a result of hiring a hitman to kill his mother’s lover. In what state did Hills emerge from Brixton in 2016? • Dan Corry neglected his creative writing aspirations in order to forge a career in economics, serving in Prime Minister Gordon Brown’s kitchen cabinet. Does he harbour any regrets? • Jeff New admits to being Mr Thirty-Years-and-Still-Can’t-Get-Published. For a while he blamed the industry but has come to accept that commercial organisations cannot operate on a Waiting For Oddball basis. • Robert Edric publishes a novel a year, to enthusiastic reviews (another PEN Pal, D.J. Taylor, is a consistent admirer in print). However, sales of his books don’t even justify the small advances he gets. Luckily his headteacher of a wife earns a decent salary. • Ian Rankin has gone on to sell 40 million books. A hundred times more than all the other 31 contributors put together. An astonishing statistic or one that is to be expected given the way modern publicity works? • The anthology’s editor, Allan Massie, placed a short story written by his literary agent, Giles Gordon, at the top of the running order. Was that nepotistic or a fair reflection of Gordon's story-writing talents? • All the selected authors were white, and none disabled. Could a similar collection published today possibly be so lacking in diversity? • All the men chosen were middle class. Are there more outlets for working class voices today, thanks to the web and the way organisations such as PEN are now structured? • 16 men and 16 women were chosen by Massie but many of the women have disappeared without trace. What are the reasons for this? Would those reasons still apply today? • Of the women that could be traced, the majority were reticent when approached by the author. Does this suggest a lack of confidence in themselves or a mistrust of the man asking the questions? • Frances Fyfield was a bestseller for two decades and her novels were adapted for the screen. But she has long neglected her website, doesn’t do Twitter and her books no longer sell in quantity. Why abandon a hard-won career? • Elaine Feinstein and Connie Bensley are now in their mid-eighties, still living independently, writing poetry and getting it published. An inspiration to all? • Three of the most ambitious short stories in the anthology were by men who went from state school to Oxbridge. But none of these high achievers went on to have successful literary careers. What does this say about the continued importance of the public school network? • The author of this proposed article has more or less given up on the traditional publishing industry and has taken to placing his books online. A newly published website www.penpals.org.uk tells the story of this group of writers in 24-chapter depth. Those bullet points miss out a vital dimension to PEN PALS. My father died while I was researching this project and Charles (C.A.R. Hills) and I struck up quite a friendship. He in his prison cell and me in mourning, both having lost something precious. Our developing relationship permeates the resulting 'book'. An alternative article would focus on that particular dimension of PEN PALS. Jason, this is exclusive to the New Statesman for now, so do please get back to me fairly soon if you possibly can. I am sorry to pour cold water, but I fear you are likely to have no luck with Jason. We had a confrontation in the New Statesman office shortly after I came out of prison the first time, and he threatened to call the police. Relations have been very hit and miss since then and I have never seen him again. I may be wrong, but I fear that anything that so closely concerns me will get the no-no. I was mildly put out by this. The confrontation in the offices of the New Statesman should have been mentioned before I made my pitch to the magazine as it would have been easy enough to downplay Charles’s role in my proposed piece. Never mind, because apart from this, Charles has played a blinder over the last eighteen months. Besides, another PEN PAL has stepped up to the plate. When I mentioned the New Statesman débacle to D.J. Taylor, he asked if I would like him to approach the TLS about an article on PEN PALS written by himself. I told him that that would be fabulous and next thing I hear is that he’s been commissioned to write 1500 words for this newspaper of record. Great news and I cannot wait to read the resulting piece. I will have to wait, however, as David tells me he already has two 'Freelance' pieces in the pipeline for the TLS. Obviously, I take a close look at the TLS website. I soon see that David has his name on the cover of one of the June issues. David’s article on 1967, a 50-year anniversary, is 2000 words, So maybe his article on 1987 and the 30-year anniversary that PEN PALS is concerned with will not make the cover. No, that would be too much to hope for. I’ll be happy in any case. I write to you humbly contrite for failing to warn you about my recent history with Jason Cowley. However, the news about David's piece in the TLS is absolutely wonderful. I don't want to crow too much, but this could be the making of the book which is of such total importance to us both. 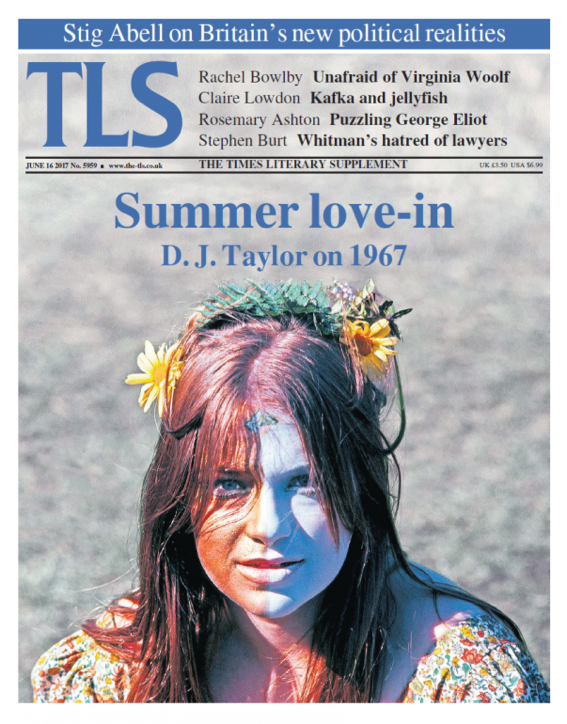 Look at what mentions in the TLS by Philip Larkin and Lord David Cecil did for Barbara Pym. She was a good writer, an absolutely unique one, but up to those mentions no one could do a thing for her except praise the quality of her writing. If you are in touch with David, will you tell him with what fondness I remember him. In spite of the distance he always keeps - an honourable distance, I feel - he is among the nicest and most worthwhile people in the literary world. David wants a hard copy of the PEN PALS manuscript. He may prefer to read printed paper rather than shining screen, but in any case he probably wants a record of what PEN PALS consisted of when he wrote about it. After all, I can change the website at the drop of a hat. Indeed, Val Warner has just written to me requesting that I remove from chapter 17 the photo of her dedication to Francis King on the title page of her book on Charlotte Mew. Which I have done. There is copyright in even scribbled notes that don’t have literary merit as such. I have travelled down in the extreme heat on the 17 bus to Kings Cross, and just now I perused all the literary and cultural papers at the station, which has been a habit of mine for many years at one or other of the great stations. D.J. Taylor's first pending 'Freelance' piece was in, something about George Orwell, and in The New Statesman Jason Cowley was continuing his new toe-sucking of Corbyn, whom only a few weeks ago he was rubbishing to high heaven. Much good it will do him, I predict. When I lived in Clapham I used to go to Victoria, and the offices of The New Statesman were nearby, and we sometimes saw each other as I stood at the stalls. Once Jason found me and I was leafing through The Spectator and he said in a shocked tone, "These are your true beliefs!" And I answered simply "Yes". Our relationship soured from that moment. I wonder if we could get PEN PALS mentioned in the Spectator. Or indeed any other national publication with cultural clout. Let me see if I can set a few wheels in motion.